Stress Management Techniques – Ways to Relieve Psychoemotional Stress! It is well known that psychoemotional stress is a major factor in worsening male, sexual function. Our time is called a time of colossal mental loads, an era of stress. This is fundamentally wrong, as was first pointed out by the researcher of stress, Austrian-Canadian scientist H. Selye. Even primitive man was experiencing great stresses because he lived constantly at risk of being eaten by a wild beast or subjected to another scourge. However, for many centuries, people have been looking for a way to cope with stress at random without even realizing what exactly oppresses them. Most of all, men suffered, because their active role in society also implied great strain on the nervous system. Men tried gambling, tobacco, alcohol and drugs, which led to the emergence of such forms of dependence (and at the same time social diseases), like problem gambling, nicotine addiction, alcoholism and drug addiction. Only now, scientists, relying both on the modern discoveries and on the achievements of the great civilizations of antiquity, have created complex systems of stress management that include yoga, autogenic training, meditation, bibliotherapy, and other mechanisms of psychotherapy. 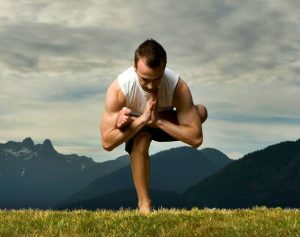 Yoga originated in Ancient India, where all its main directions emerged. Modern yoga, most often practiced for therapeutic and preventive purposes, is a complex series of exercises of two yoga types. They include Hatha Yoga and Kriya Yoga. Hatha Yoga focuses on training the body. The essence of Kriya Yoga lies in psychogenic techniques. From a medical point of view, Hatha Yoga is healthy for the body because it improves the functional state of the musculoskeletal system, cardiovascular and nervous systems, and endocrine glands. Kriya Yoga is needed as a remedy for stress, depression, and other psychological conditions. Everyone can practice Kriya Yoga, which teaches control over emotions and positive thinking. As for Hatha Yoga, it is contraindicated at high temperatures, acute diseases, and exacerbations of chronic diseases. Children under 6 years and adults after 60 need to learn the techniques of Hatha Yoga. The effectiveness of autogenic training sessions is ensured by the fact that during this training a person seems to plunge his brain into a state of half-sleep, something intermediate between sleeping and waking. In this state, conscious orders given to one’s own organism are capable of regulating the mode of his work. The ability to sink into a state of inactive consciousness is not developed immediately, it takes some time. Another prerequisite for training on the system of autogenic training is the ability to focus on any thought without straining it (the phenomenon of relaxed, focused attention). Drowsiness of the brain and non-tension of attention are achieved due to the maximum relaxation of the muscles. When the skeletal muscles are relaxed, they send little impulses to the brain, causing it to become drowsy gradually. At the same time, the absence of these impulses allows you to concentrate on something without making any special effort. It is noteworthy that in such a state the body is easier to obey the orders of the brain, since the muscular nerves, having lost their habitual load, become excellent conductors of new signals. 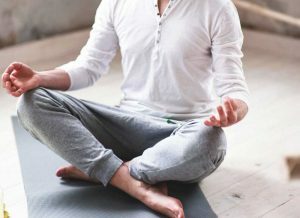 The art of meditation originated in ancient times, representatives of different cultures and civilizations of the past resorted to this technique – from Indian Brahmins to Athonite monks. Until quite recently, meditation has not been taken seriously, considering it a useless occupation. However, for some time now, opinions have changed to the opposite. The ability to concentrate on any sensations, to awaken in oneself positive emotions, to receive joy from clarifying thoughts is a factor that largely reduces internal tension, improves well-being, contributing to the normalization of physiological processes through the mechanisms of nervous regulation. 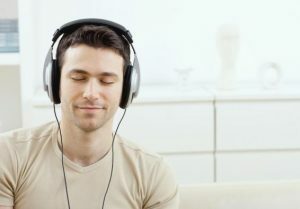 The technique of meditation involves focusing on something pleasant and imagining it in the form of an energy flow that passes through your body and carries a purification, getting rid of stress and ailments. Autogenic training or meditation: which is better? The answer depends on a particular person. You can try these methods and choose the better one for you. Bibliotherapy is a relatively new type of psychological help, consisting of a careful selection of literature, the reading of which creates a certain mood and allows you to control your health. Some books depressingly act on the human psyche. Therefore, such books should be avoided in case of the non-stable psyche. But it is worthwhile to reread the books, not only pleasing and enjoyable, but also inspiring a feeling of cheerfulness. The choice of a book for treatment is always purely individual. What is good for one can be very dangerous for another.